The design is screened on Kona cloth—just follow the dashes for perfect sashiko stitches. 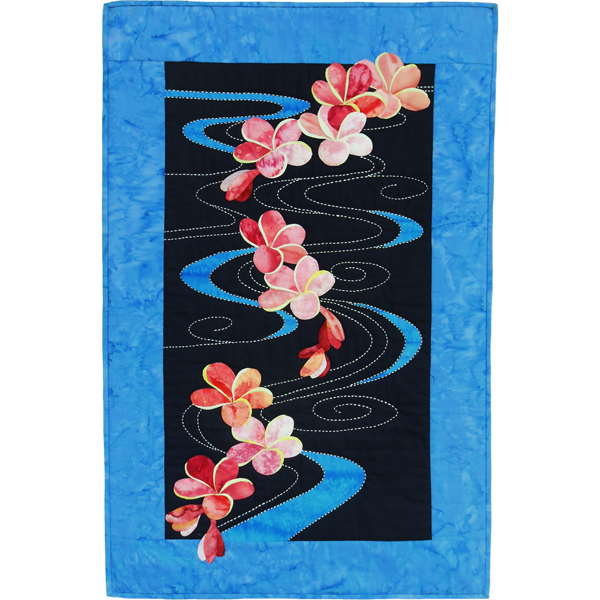 Plumeria fabrics include batiks and other cotton color washes from pale yellow to deep pink. Also includes Hoffman turquoise batik for borders, binding, and water; one skein of white sashiko thread, full-size pattern, and instructions. Batting and backing fabric are not included. *Fabrics are carefully chosen to match the original quilt on the pattern cover, but may vary slightly depending on fabric availability.